Given the continued confusion about Business Development and its protagonist, the Business Developer, I have launched a series of articles on LinkedIn / Pulse. 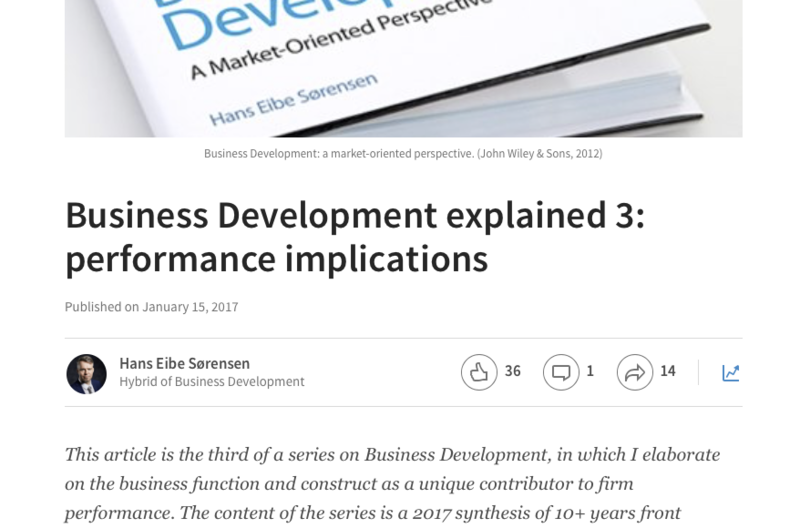 Business Development explained 2: what type of growth? My aim is to convey the recent established Business Development practice and research on the subject in a meaningful and critical manner with out falling into too much detail or academic lingo.